Should I open a Menchie’s Franchise? Who has the best frozen yogurt? 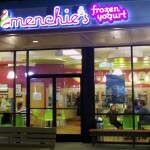 Menchie’s has the widest variety of yogurt and sorbet that we have reviewed. The stores have at least 10 flavors at once and a large selection of toppings. The calorie c ount varies significantly depending on what you get. The Euro Tart flavor has only 70 calories per half cup. That’s the lowest calorie count of any yogurt that we have reviewed. But, the Peanut Butter Cup flavor is more like ice cream than yogurt. It sports a chunky 188 calories per half cup. 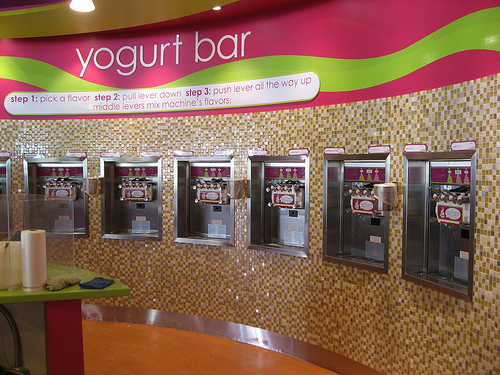 Menchie’s has over 80 stores and expects to be the largest frozen yogurt franchise in the world by the end of 2011. To open a Menchie’s franchise is rather expensive. The cost is varies between $300,000 to $400,000. While Pinkberry may have the Hollywood/Celebrity type following, Menchie’s is know to have the best customer experience and branding. Menchie’s motto is to sell you smiles by offering yogurt. Much of that franchise fee includes the enticing branding. Menchie’s was started in 2007. 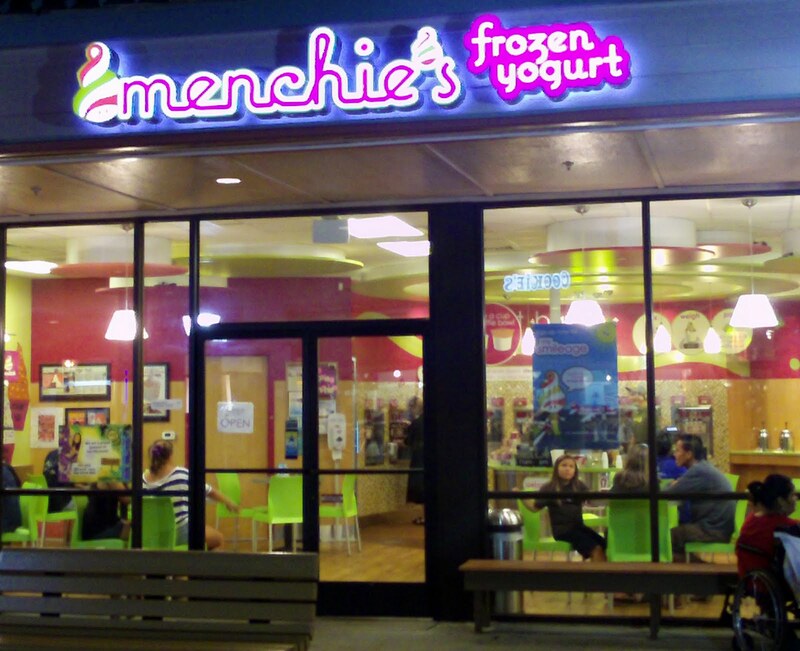 The name Menchie’s came from the yiddish word mensch meaning ‘good person’. Menchie’s yogurt (not including the sorbet) is certified with the Real Dairy Frozen Yogurt and Live & Active Cultures seal by the Live Active Frozen Yogurt Association. Menchie’s has it’s own branded yogurt so it’s difficult to find the ingredients. If anybody knows, I’d love to know. Flavors: Menchie’s has tons of flavors in low carb, no sugar, dairy free, and gluten free. The most popular are: mango tango sorbet, cappuccino, blueberry tart, cookies ‘n’ cream, coconut, georgia peach, mounds, peanut butter gold, banana, coffee, pistachio, mocha, white chocolate macadamia, and german chocolate cake. Menchie’s is the best frozen yogurt store. Ton of variety and they really do put a smile on my face. I tried Menchie’s and was not impressed. Tasted like weak ice cream. Menchie’s Frozen yogurt is made by Yocream as far as I know!